A pioneering project in Kerala aims to make excavation sites into eco-friendly heritage zones by supplying cycles to researchers, residents and tourists. The coastal state of Kerala has launched a new initiative that will limit motor vehicles in archaeological sites, promote by the use of cycles and create alternate living practices. ‘Green Archaeology’, as the initiative is called, has already been put into practice in Pattanam village, the site of a significant excavation project to understand the origins of the Spice Route from India to the West two millennia ago. Cycles have been handed out to research staff and workers digging trenches in the village, about 25 km from Cochin, the commercial capital of the southern state. 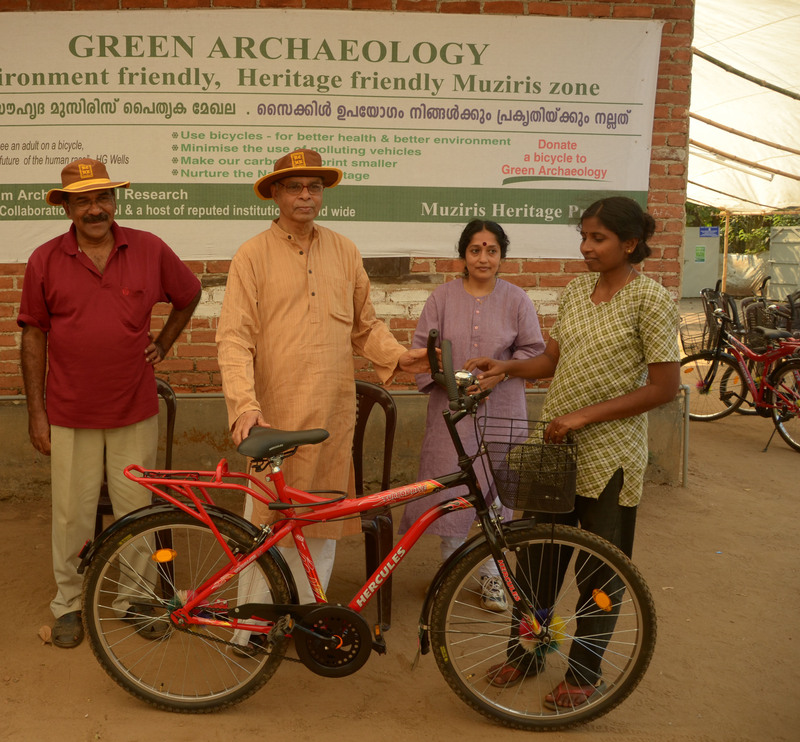 “‘Green Archaeology’ initiative proposes to promote bicycling in the Muziris heritage zone,” says Prof. P J Cherian, the head of the Pattanam excavations that is investigating the early history of Muziris, a spice city that is believed to have existed in the region spread over the Ernakulam and Thrichur districts of Kerala more than two thousand years ago. The Kerala Council of Historical Research (KCHR), which is tasked with the excavation work, initially gifted cycles to its research team. “We hope it will encourage tourists and the residents to use cycles,” says Prof. Cherian, also the KCHR director. The overall objective of the initiative, according to him, is to encourage the use of bicycles and reduce the use of polluting vehicles in the area. “This is conceived as an essential part of building up a model archaeology site, which is both environment and heritage friendly,” says Prof. Cherian. 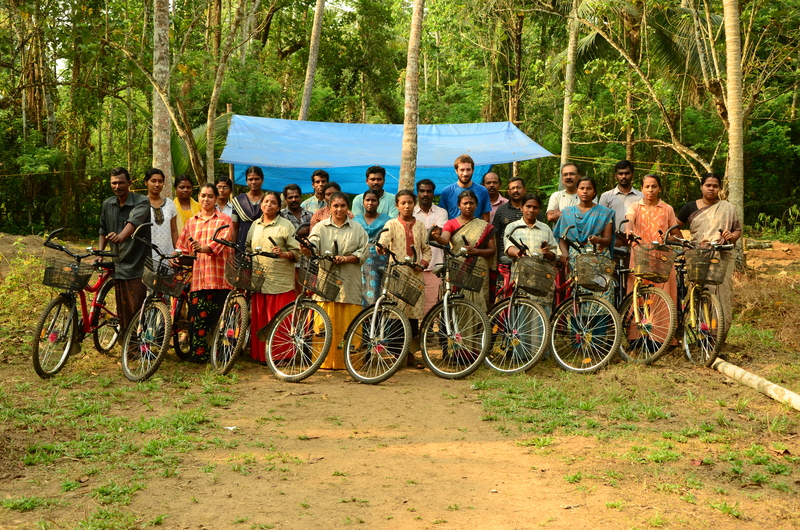 The ‘Green Archaeology’ initiative further aims to provide as many bicycles as possible to the villagers in Pattanam. “The village is mostly cycle-dependent and the residents have responded positively to the initiative,” he adds. The first cycles were handed over to Andrew Blair, an archaeologist from the Oxford University taking part in the excavations, and Ravi, the leader of the work force. Committed to the preservation of the archaeological wealth at Pattanam, KCHR is also planning organic farming of traditional spices, medicinal plants and flowering plants in the archaeological mound created by the project. The KCHR will give women residents of the village the responsibility of being caretakers of the archaeological site. As part of the community archaeology and heritage management project, besides promoting the use of cycles, KCHR hopes to harness the vast traditional systems of knowledge of indigenous communities, showcase their rich heritage, and integrate this with ways to preserve the environment. “We want to ensure the protection of the 100-acre archaeologically sensitive land and develop it into an eco-friendly heritage site,” says Prof. Cherian. Excavation work in Pattanam has revealed artifacts belonging to the Mediterranean, the Red Sea and the Indian Ocean region, hinting at the possibility of the existence of a port in the area. Muziris, an early port from where spice trade from Kerala is believed to have taken place with merchants in Rome and Alexandria, disappeared in the 13th century from a possible natural disaster like a flood.